HONG KONG (AP) - NBA star Yao Ming topped Forbes magazine's annual mainland Chinese celebrity rankings for the second consecutive year, but Memoirs of a Geisha star Zhang Ziyi dropped a spot to No. 3. She was replaced by actress Zhou Xun, the star of the musical movie Perhaps Love. Director Zhang Yimou and pop diva Faye Wong dropped out of the top 10 after relatively low-profile years in 2005. Li Yuchun, winner of China's successful Super Girls singing contest in 2005 - the Chinese equivalent of American Idol - cracked the top 10, landing at No. 6. Famed art-house director Chen Kaige was a big mover, rocketing from outside the top 100 to No. 8, thanks to the buildup for his new epic mythology flick The Promise. The Forbes annual ranking, posted on its website Friday, is based on income and media exposure within China. Rounding out the top 10 are singer-actress Zhao Wei, at No. 4, Olympic gold medalist hurdler Liu Xiang at No. 5 and actress Fan Bingbing at No. 7. In ninth and tenth place were singer Sun Nan and actress Li Bingbing respectively. Actress Zhang's co-star in Memoirs of a Geisha, Gong Li, was No. 13. English Premier League soccer player Sun Jihai was ranked No. 23. According to Forbes, Yao raked in 170 million Chinese yuan (US$21.1 million) in 2005. He appeared on Chinese TV 228 times, was mentioned in newspapers 8,050 times and made four magazine covers. Yao was searched on the Internet nearly four million times. Yao's consolidation of his No. 1 spot was helped by his new deal with the Houston Rockets. The centre signed a five-year contract worth more than $75 million in September. Yao is a huge source of national pride after breaking into the upper echelons of a sport mainly dominated by foreigners. 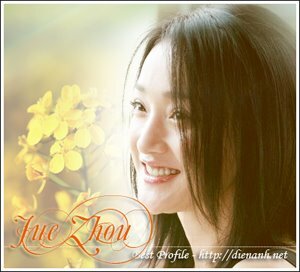 Zhang, who made her name with the Ang Lee-directed kung fu movie Crouching Tiger, Hidden Dragon, out-earned counterpart Zhou and was reported on in newspapers and searched over the Internet more frequently, but Zhou scored 69 more TV appearances than Zhang's 101. Zhou was boosted by the popularity of her new movie Perhaps Love, in which she delivered a subtle portrayal of a movie actress caught between her past and present loves. The film was also a unique pop culture product, blending a Chinese setting, a western-style musical and Bollywood dance choreography.